They took position there around 11, paralysing parts of Dhaka. Abrar died on Tuesday morning after being run over by a bus in front of Jamuna Future Park. Protesters blocked the street in front Jamuna Future Park for the second day today. 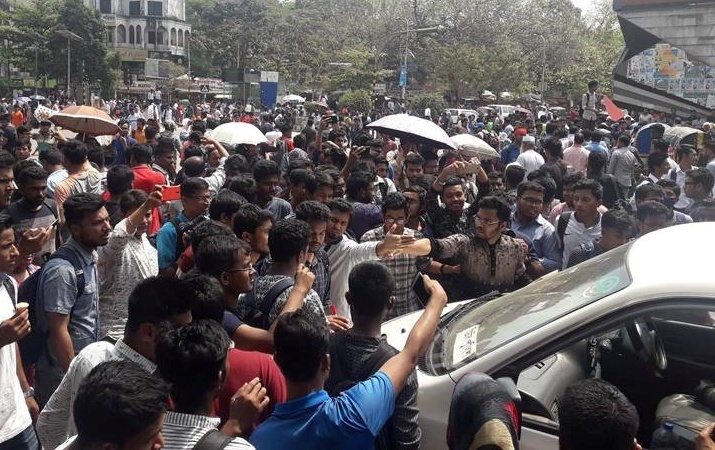 They vowed to continue the demonstrations ignoring the requests of Dhaka North City Corporation Mayor Atiqul Islam and police.